IBM has announced that it’ll start shipping the world’s fastest computer chip — the microprocessor in a new version of the IBM mainframe from 10th September. The processor has a mind boggling 5.2 GHz speed which enables it to handle more than 50 billion instructions per second. The z196 processor is a four-core chip that contains 1.4 billion transistors on a 512-square millimetre (mm) surface. 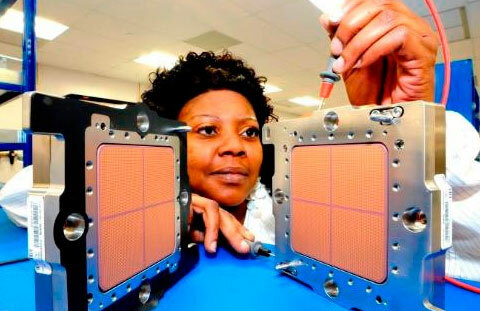 The chip was designed by IBM engineers in Poughkeepsie, N.Y., and was manufactured using IBM’s 45 nanometre (nm) SOI processor technology in the company’s 300mm lab in East Fishkill, N.Y. The mainframe processor makes use of IBM’s patented embedded DRAM (eDRAM) technology, which allows IBM to place dense DRAM caches, or components, on the same chips as high-speed microprocessors, resulting in improved performance. The processor has achieved this speed without any liquid nitrogen-based assistance. IBM explains in the official press release that the new processor will massively increase the productivity and work speed of businesses managing huge workloads, such as banks and retailers. As the world becomes increasingly more inter-connected, data has grown beyond the world’s storage capacity, and business transactions continue to skyrocket. It makes perfect sense to have move beyond the currently available speed levels on processors and explore the possibilities of computers which could break all previous speed records.